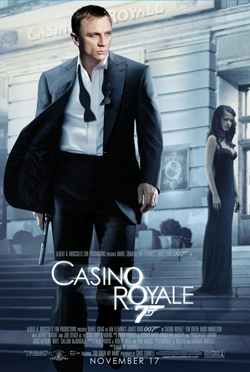 Casino Royale, the 21st Bond film arguably rebooted the James Bond franchise and has been discussed as ‘the best’, if not one of the best films in the James Bond series of 23 films (September 2013). English actor Daniel Craig appeared in his first outing as the British secret agent after securing the role in part on the strength of his performance as an unnamed businessmen turned gangster in the British crime thriller Layer Cake (2004) directed by Matthew Vaughn. 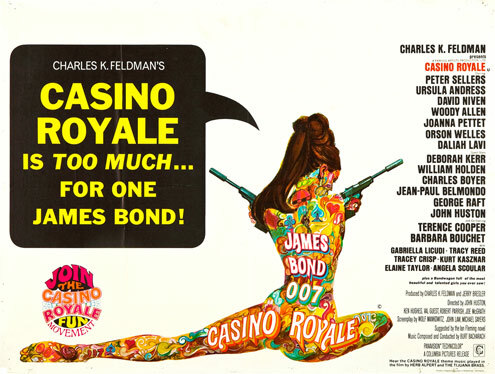 The film is produced, as with every Bond film by Eon Productions who technically are a British production company based in London and operating out of the iconic Pinewood Studios in Buckinghamshire but founded by the original American Executive Producers of the Bond franchise Albert R. ‘Cubby’ Broccoli and Harry Salzman as they sought financing for the first Bond film, Dr No (1962). 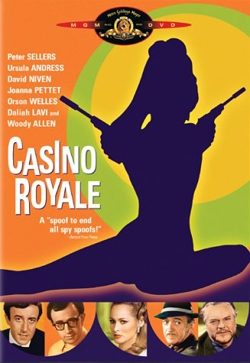 Cubby Broccoli’s stepson, Producer and Screenwriter Michael Wilson and Broccoli’s widow Barbara Broccoli produced Casino Royale maintaining the American family tradition, and control over James Bond films – this family aspect is even tighter evidenced by the fact that Wilson is also Barbara Broccoli’s half brother. Martin Campbell was brought in to direct the film, in part due to the fact that he had previously directed the 1995 Bond film, Golden Eye starring Pierce Brosnan as Bond but also for his action adventure directing credentials – The Legend of Zorro (2005) and The Mask of Zorro (1998). Campbell had a proven track record working within the genre with films using high production values and dramatic high-octane action sequences and he was also used to directing heroic male leads (Antonio Banderas as Zorro).